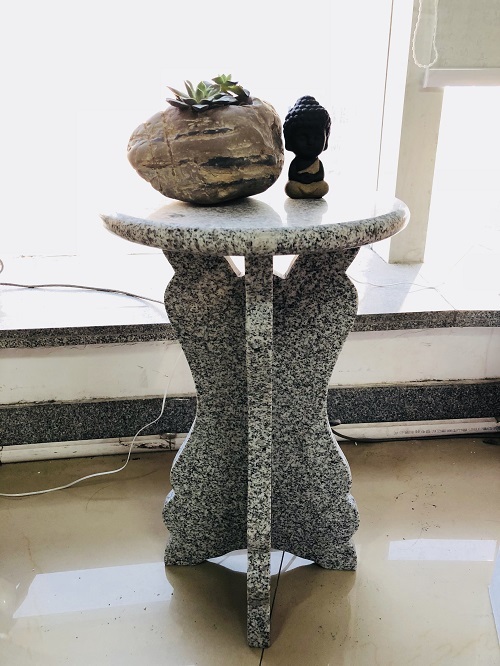 Product categories of Natural Stone Side Table, we are specialized manufacturers from China, Natural Stone Side Table, Marble Side Table suppliers/factory, wholesale high-quality products of Granite Side Table R & D and manufacturing, we have the perfect after-sales service and technical support. Look forward to your cooperation! 1. granite side table: Granite tabletop +wood/bamboo/metal table desktop stand. 2. marble side table: marble tabletop +wood/bamboo/metal table desktop stand. Application: indoor or outdoor, coffee table, flower pot stand etc. Feature: saves space ,easy and firmly to fix . HR natural stone table can be totally made with natural stone, also can combine natural stone with wood, bamboo, metal stand to meet with your special requirements.